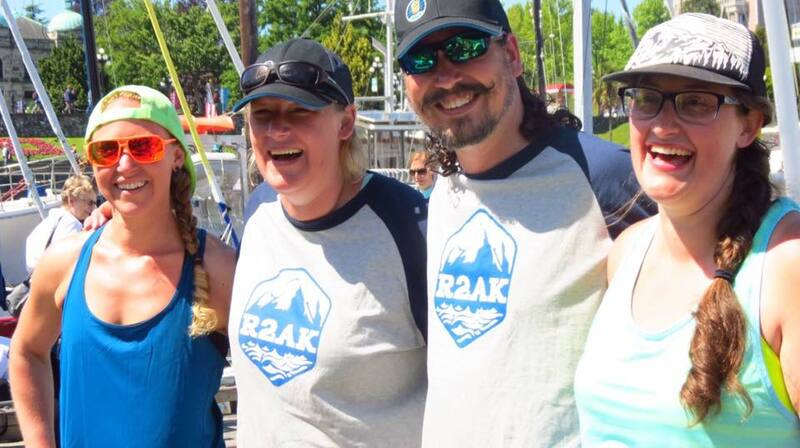 R2AK Stage 2 - Global's Racers Weather the Storm - Global Diving & Salvage, Inc.
A couple of years ago, someone had the idea of racing to Alaska, 740 miles, with no motor; just wind-, pedal- or paddle-powered boats. A few folks, like our own Team Global and Team North 2 Alaska, decided the race sounded like a good idea, maybe even a fun idea. As in past years, there was a party in Port Townsend before the race start and everyone was optimistic. The teams set sail at 5 a.m. with calm seas and their first stopping point only 40 miles across the strait. Then the R2AK Storm of 2017 hit and everything got real. There were reports of 10-foot waves and winds gusting over 50 knots. Race teams scattered to San Juan Island, Lopez Island and beyond, when they should have been headed in a straight line to Victoria, BC for the second leg of the race. A few boats in the field decided this crazy race wasn’t their cup of tea and dropped out, and a few other boats broke bad enough they needed rescue. Team Global eventually ducked in behind an island to weather the worst of the storm, then headed into Victoria soggy but mostly unscathed. Team North 2 Alaska broke a mast base and spent the night on San Juan Island, but finally arrived in Victoria under oar power. The race teams were honored with another well-deserved party, spent one full day recovering and fixing all the bits that needed mending, and geared up for the full second stretch of the race – the remaining 700 miles to Ketchikan, AK. Team Global removed the seaweed clogging their pedal-powered propeller and mended a sail. Team North to Alaska sent two of their members back home for a day to attend their high school graduation, another celebrated his 21st birthday, and in between celebrations they repaired their mast. Then came the real race beginning, complete with Le Mans-style start – a mad dash to the boats that had been repaired, rethought and re-engineered (check out the video below for a taste of the madness). Global’s two teams jockeyed for position among several bigger boats getting out of the harbor – but in this race, as in so many things in life, bigger isn’t always an advantage. Team Global has experience on their side. Team North 2 Alaska has youth. Both teams have the optimism and tenacity to make it to the finish line, come what may. Global is following employees Katy Stewart and Malachi Church throughout the race on our Facebook page, so check often for the latest! Love the 3 sisters whom I’ve know since childhood–their childhoods! And love the token male whom I don’t know, but if the sisters love you, Elan, I do too! Bon Voyage!